Did you know that Madison, the capital of Wisconsin, was named after the 4th President of the United States, James Madison? Located in the center of Dane County in south-central Wisconsin, 77 miles West of Milwaukee and 122 miles Northwest of Chicago, Madison is the second largest city in the state. According to currentresults.com, Madison averages over 12 inches of snow each winter during the month of January. Along with that snowfall comes the cold temperatures. In Madison during December the average low temperature is 16 degrees Fahrenheit and in January it’s 11 degrees Fahrenheit. With that kind of cold, radiant heat is an ideal solution to warm up any room in the home adding comfort to your daily home activities. In this case it was a cold home office that needed some heat. The homeowner purchased a 1.5- by 52-foot TempZone™ Flex Roll for the 97-square-foot office so he could work the occasional day from home and some evenings. In addition the family used the office for paying the bills each month. The Flex Roll cost $741, which equated to less than $9.50 per square foot. Because the heating cable is embedded in mesh in a serpentine design, the roll was easy to cut and turn for layout. As a result, the system radiates 15 watts per square foot, which is the highest watt density allowed by the National Electric Code. This means the floors heat up faster and get hotter than in-floor heating systems with a lower wattage. The floor-heating system is also very inexpensive to operate. It only costs 57 cents a day to heat these office floors for eight hours a day, according to WarmlyYours’ Energy Use Calculator. For the entire year, that comes out to $162.15, according to WarmlyYours’ Heat Loss Calculator. During the coldest month of the year, it only costs $32.76 to heat the room. 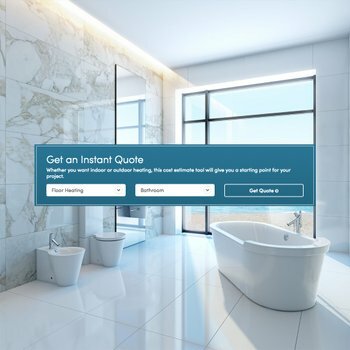 If you’re interested in adding electric floor heating to one or more rooms in your house, the first place you should start is online with our Instant Quote tool. By entering some information about your project, the tool will tell you which products are recommended and give you their costs. 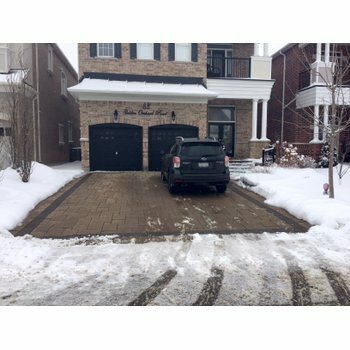 You can also request a custom installation plan, which will provide more details about how the floor-heating system should be installed and how the electrical plan should be laid out. You can get a custom installation plan by uploading your floor plan or contacting a WarmlyYours sales representative at sales@warmlyyours.com. If you have any questions during installation, don’t hesitate to reach out to our knowledgeable technical support team 24/7 at 800-875-5285. They’re here to help insure that your install goes smoothly. 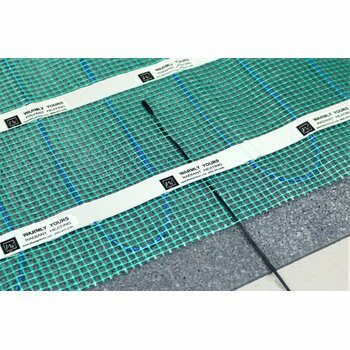 To discover all our radiant heating solutions, simply visit our website: www.warmlyyours.com. How Much Does it Cost to Heat Up a Cleveland Basement Game Room?